Anthony James Keith "Tony" Hymas is an English keyboard player, pianist, and composer. Hymas started as a chorister at Exeter Cathedral, where his contemporaries included composer and cathedral organist Barry Ferguson, and singer and pianist Roger Cleverdon. After leaving school, Hymas studied piano with Harold Rubens at the Royal Academy of Music. As company pianist for the Ballet Rambert in its resurgent 'modern' form, Hymas wrote a substitute score for Glen Tetley's Rag Dances over the course of eight days. After his employment at Rambert, Hymas found work in the busy London session scene of the 1970s. A choir is a musical ensemble of singers. Choral music, in turn, is the music written specifically for such an ensemble to perform. Choirs may perform music from the classical music repertoire, which spans from the medieval era to the present, or popular music repertoire. Most choirs are led by a conductor, who leads the performances with arm and face gestures. Exeter Cathedral, properly known as the Cathedral Church of Saint Peter in Exeter, is an Anglican cathedral, and the seat of the Bishop of Exeter, in the city of Exeter, Devon, in South West England. The present building was complete by about 1400, and has several notable features, including an early set of misericords, an astronomical clock and the longest uninterrupted vaulted ceiling in England. Harold Rubens was a Welsh pianist and anti-apartheid activist. There & Back is the third studio solo album by guitarist Jeff Beck, released in June 1980 through Epic Records. The album reached No. 10 and 21 on the U.S. Billboard Jazz Albums and Billboard 200 charts respectively, and No. 36 on the Swedish albums chart. In 1980, Hymas and Beck's drummer Simon Philips hired Scottish singer Jim Diamond for the trio Ph.D.. The band had a Top 10 hit in the UK with the song "I Won't Let You Down" in 1982, but disbanded a year later after poor sales of their subsequent singles and Diamond's decision to return to his solo career. He also plays keyboards and synthethizers on Jeff Beck's 1989 album Jeff Beck's Guitar Shop. Hymas continued to collaborate with Diamond on his solo projects; the duo released a third Ph.D. album in 2009 entitled Three and remained active until Diamond's death in 2015. Simon Phillips is an English jazz, pop, and rock drummer and record producer. He worked with rock bands during the 1970s and 1980s and was the drummer for the band Toto from 1992 to 2014. James Aaron Diamond was a Scottish singer-songwriter, best known for his three Top 5 hits: "I Won't Let You Down" (1982), as the lead singer of PhD; and his solo performances "I Should Have Known Better", a United Kingdom No. 1 in 1984, and "Hi Ho Silver", the theme song from Boon, which reached No. 5 in the UK Singles Chart in 1986. Ph.D were a British group best known for their UK Top 10 hit "I Won't Let You Down" in April 1982, although the song had been a hit the previous year throughout Europe. The band took its name from the initial letters of its three founding members' surnames; Phillips, Hymas and Diamond. The name was written as Ph.D. so as to be a visual pun on the letters denoting the degree of the same name. His albums include De l'origine du Monde (2010), Chroniques de resistance (2013), Hope Street (Nato), and I Will Not Take 'But' for an Answer (2010) with the band Ursus Minor. In 2016, he recorded Tony Hymas joue Léo Ferré, an album of piano transcriptions of songs by Léo Ferré,. Anthony George Banks is an English musician, songwriter and film composer primarily known as the keyboardist and founding member of the rock band Genesis. Banks is also a prolific solo artist, releasing six solo albums that range through progressive rock, pop, and classical music. Nicholas Christian Hopkins was an English pianist and organist. 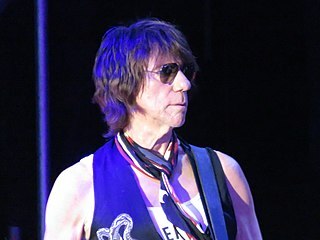 Hopkins recorded and performed on many notable British and American pop and rock music releases from the 1960s through the 1990s including many songs by The Rolling Stones, The Kinks and The Who. Gary Husband is an English jazz and rock drummer, pianist, and bandleader. He is best known for his emotive and dynamic style on both his primary instruments, the keyboards and the drums. He is also a composer, arranger and producer. Gordon James Beck was an English jazz pianist and composer. At the time of his death, 26 albums had been released under his name. David Maxwell "Max" Middleton is an English composer and keyboardist and was originally a docker on the London docks. Middleton is known for his work on the Fender Rhodes Electric piano, the Minimoog synthesiser and his percussive playing style of the Hohner Clavinet. He started on his professional music career by playing keyboards for Jeff Beck and is best known for his work on Beck's Blow by Blow. Robert George Downes is an English avant-garde jazz flautist and saxophonist. He is known for his work with Mike Westbrook and for leading the Open Music Trio since 1968. Downes is also a composer, arranger, and singer of rock and blues. Jean-Michel Defaye is a French pianist, composer, arranger and conductor known for his collaboration with French poet and singer-songwriter Léo Ferré. "I Won't Let You Down" is a 1982 single by British band Ph.D. It entered the UK charts in April 1982 at #34 and peaked at #3 in May of that year. The band consisted of Jim Diamond who was the lead vocalist, Tony Hymas on keyboards and Simon Phillips on drums. It went on to become the 23rd best-selling single of 1982 in the UK. Is It Safe? is the 1983 second album from Ph.D. It would be their last album until 2009's comeback Three. Is It Safe? will be reissued shortly by Voiceprint Records in 2010. Drummer Simon Philips had quit the band, which now consisted solely of Jim Diamond and Tony Hymas. The album's opening track I Didn't Know failed to chart in Britain, but was a hit across Europe. Three is the 2009 comeback album and final release from Ph.D. It was their first album since 1983's Is It Safe?. How's Tricks is the fifth studio album by Scottish musician Jack Bruce, released in 1977 and credited to "The Jack Bruce Band". "Little Suzi's on the Up" is a song by British new wave group Ph.D. The song was released as the band's first single, appearing on their self-titled debut. The video for the song was notable for being the fifth music video shown during MTV's launch on August 1, 1981. It is sometimes misspelled by music video stations as Susie or Suzy. Suzi is the correct spelling. Jet Set Jewel is the sixth studio album by Scottish musician Jack Bruce. The album was recorded in 1978 with the same musicians as his previous album, How's Tricks, but was rejected as uncommercial and not released until Polydor Records' Jack Bruce re-issue campaign in 2003. The Wild Places is the third studio album by English singer-songwriter and musician Duncan Browne. Released in 1978 through Logo and Sire Records, it is Browne's first solo album since his departure from the band Metro that year, and features contributions from session musicians Tony Hymas, John Giblin and Simon Phillips. In contrast to his previous self-titled solo record, the sound of the album is fully electric and ranges from progressive rock to straightforward rock music and synthpop. ↑ Katz, Larry (19 March 1999). "THE JEFF BECK BULLETIN ISSUE #6". www.ainian.com. Retrieved 7 January 2019. That somebody was Tony Hymas, Beck's longtime keyboardist. Hymas had written a bunch of tunes, many of which ended up on Who Else!, mixing unusual time signatures, offbeat rhythms, jazz and world beat flavors with rock. In turn, Beck introduced Hymas to a new style he wanted to explore: electronic dance music.